Which Marketing Automation Solution is right for you? In our past blogs, we discussed What is Marketing Automation Software and Why Should I consider it? and Which Marketing Automation Solution is right for you? In this blog, we will help you to understand some key differences between marketing automation and email campaign solutions. This will help you make the important decision. Confused between email marketing software and marketing automation solution? A marketing automation solution will monitor your website visitors, tracks their activities such as pages visited and time spent on each. A spike in visits from a particular company can be indicative of business interest or competitor activity. A MA solution can track the source from where the visitor got to your website, helping you in Marcom budget allocation. E-mail marketing solutions do not do this. A marketing automation solution updates leads, contacts and other fields directly into your CRM System. Lead and campaigns are effectively managed and updated in CRM to make it a lot easier for the sales team to act sooner. It is important to make sure that the MA solution you are considering is compatible to your CRM. E-mail marketing solutions do not do this. A MA solution helps in converting online traffic into quality leads using targeted lead scoring and nurturing process. Cold inquiries/leads are nurtured by sending relevant communications to prospects to help develop these into qualified leads. E-mail marketing solutions do not do this. A marketing automation solution helps you automate your lead scoring and nurturing process. You can create multi-layered, automated, trigger-driven marketing programs to manage lead nurturing activities, which help in nurturing leads as well as filter out dead-ends. E-mail marketing solutions do not do this. So what do you need – simple email marketing or a comprehensive marketing solution? Coming back to our question, “How will it help the business?” – You should consider many more factors that we previously discussed in our blog Which Marketing Automation Solution is right for you? aMarketForce is a B2B marketing consulting company partnering with clients who require prospect list development, database validation, email campaign management and lead generation. We provide small and medium sized businesses (SMBs) with marketing automation services – marketing automation, consulting and campaign management services. 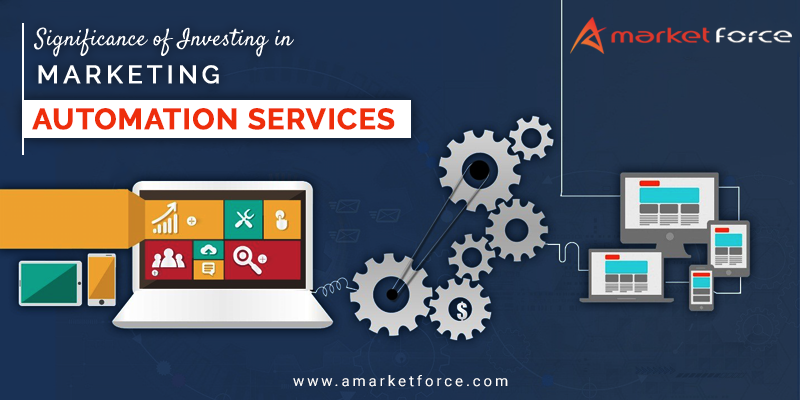 To know more about aMarketforce’s Marketing Automation Services, please email us at info@amarketforce.com.